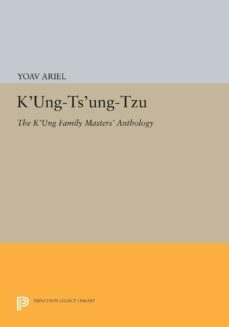 In analyzing evidence indicating that Kung-tsung-tzu was a forgery, Yoav Ariel questions current views of the Confucian school in the time between the Sages death in the fifth century B.C. and the emergence in the eleventh century of Neo-Confucianism. The text, traditionally ascribed to a descendant of Confucius, Kung Fu (264-208 B.C. ), provides a setting for a series of philosophical debates between Kung family members and representatives of such non-Confucian schools as Legalism, Mohism, and the School of Names. However, finding that this text was probably fabricated by the controversial Confucian master, Wang Su (A.D. 195-256), Ariel explains how it sheds light on the third-century philosophical milieu: Confucianism then is seen to have been not only Taoistically metaphysical, individualistic, and escapist, but also aggressive in advocating early Confucian values.The first part of Ariels book deals with the general characteristics, history, dating, authenticity, and authorship of the text. The second part is a fully annotated and analyzed translation of the first of the two traditional volumes that constitute the Kung-tsung-tzu.Originally published in 1989.The Princeton Legacy Library uses the latest print-on-demand technology to again make available previously out-of-print books from the distinguished backlist of Princeton University Press. These paperback editions preserve the original texts of these important books while presenting them in durable paperback editions. The goal of the Princeton Legacy Library is to vastly increase access to the rich scholarly heritage found in the thousands of books published by Princeton University Press since its founding in 1905.